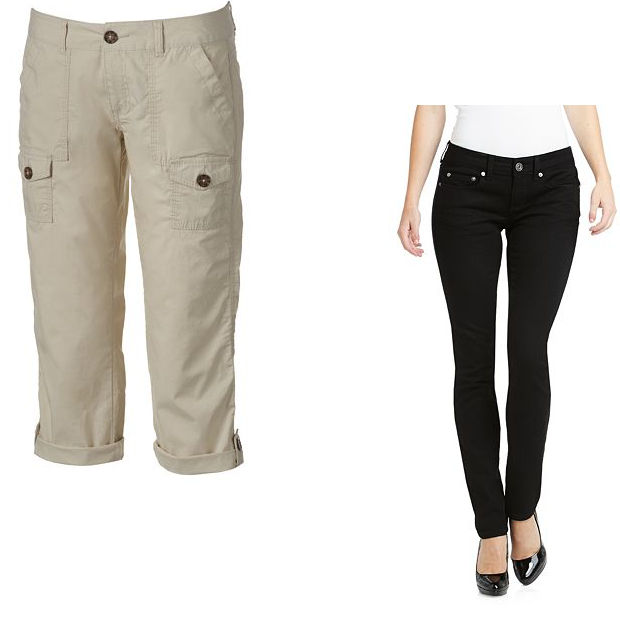 Jeans Plus Capris Only $20.28 For Both At Kohl's Online! You are here: Home / Great Deals / Jeans Plus Capris Only $20.28 For Both At Kohl’s Online! Jeans Plus Capris Only $20.28 For Both At Kohl’s Online! New promo codes equal a great deal at Kohl’s! Add the jeans and capris to your cart then use promo code Selfie10 to get $10 off your order of juniors clothes of $30+. Also use promo code SMARTYPANTS to get 20% off your purchase! Remember you can buy online and pickup in store!